Yay, it’s day 7 of your Sleep Challenge and we hope you’re feeling bright eyed and bushy tailed. Did you fall off the wagon, forget a class or not get to do a morning practice? Or maybe you were an A* student and followed all sleepy instructions, even skipped the caffeine and bought the oils. And maybe even then you found it hard to get the sleep you needed. Well, just remember that the beauty of being human is that sometimes we fail, sometimes we succeed. But each day is a brand new day and a new opportunity to start afresh with new intentions, new habits, new practices and new routines. This is what keeps us moving forward. So however you’ve got on, remember that each morning you’re lucky enough to be alive is a new chance to start your new routine again. And you can re-start the challenge every 7 days too, if that helps! Remember that once you’ve done the videos in our Sleep Challenge, we have plenty more Sleep Well videos to help you out at the end of the day, and tons of Good Morningvideos to wake you up. The challenge may be over, but every day is a chance to start afresh! Carry on reading for your final set of sleep tips! Enjoy your bedtime routine complete with Gandha Ritual, Yoga and journaling. Plan to get up in time for morning journaling and yoga. Tell us which healthy sleep practices you plan to continue on the FaceBook Movers Group. Be nice to yourself. And everybody around you. See if you can work out which aspect of this challenge was your favourite and challenge yourself to stick to this for each day for the rest of your life! But just what if you haven’t slept as well as you’d have hoped? Try not to worry too much about the whole sleep thing. Many people function perfectly well on 5 or 6 hours sleep a night, so let go of that thought that you have to have 8 hours. Especially as we get older, our bodies need less sleep. So if you’re feeling wakeful and well during the day, there’s really no problem. Also, bear in mind that there is a tendency to exaggerate how badly we’ve slept. “I’ve hardly slept a wink” in reality often means that we woke up a couple of times for a few minutes. 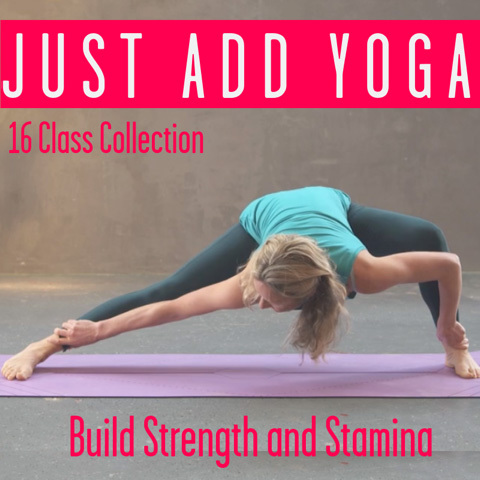 In addition to your bedtime yoga routine, try one or all of these exercises and be at peace with yourself knowing that your body will take the rest that it needs. Eye Exercises to release strain: Slowly circle your eyes to every periphery. Repeat 3 times in each direction. Deep Breathing: Concentrate on counting 10 deep breaths in and out of your belly. Deep Relaxation: Lie back and start with the tips of your toes. Focus on each body part for a few seconds and tell each part to relax as you rotate around your body. We really hope that this challenge has been informative, fun and most of all, useful. Now see if you can challenge yourself to continue your healthy sleep practices! For your ongoing sleep ritual, we recommend this 40 minute practice, Flow and Restore with Lucy McCarthy.